My hubby is of that generation that used men’s handkerchiefs for everything, from wiping sweaty brow, greasy hands to blowing his nose. Oh how I hate men’s handkerchiefs. He would put those nasty things in the hamper for me to wash. Now that meant me TOUCHING those nasty things! I had to get him to start using disposable kleenex. I just had to! Somehow. Sooooooo…..I started throwing them away, in the deepest part of the trash can. Of course, I never told him I threw them away. He would mumble about how his handkerchiefs seemed to disappear and would go buy more. And, yes, I threw these away too. But I always handed him a box of kleenex when he couldn’t find his handkerchiefs (with a slight smile on my face). Eventually, he learned to grab the kleenex or paper towels and I was happy. 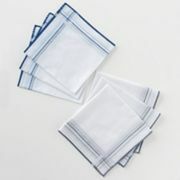 No more touching nasty handkerchiefs in the hamper. So you see men can be trained. You just have to persevere and definitely Do Not tell them what you’ve done. 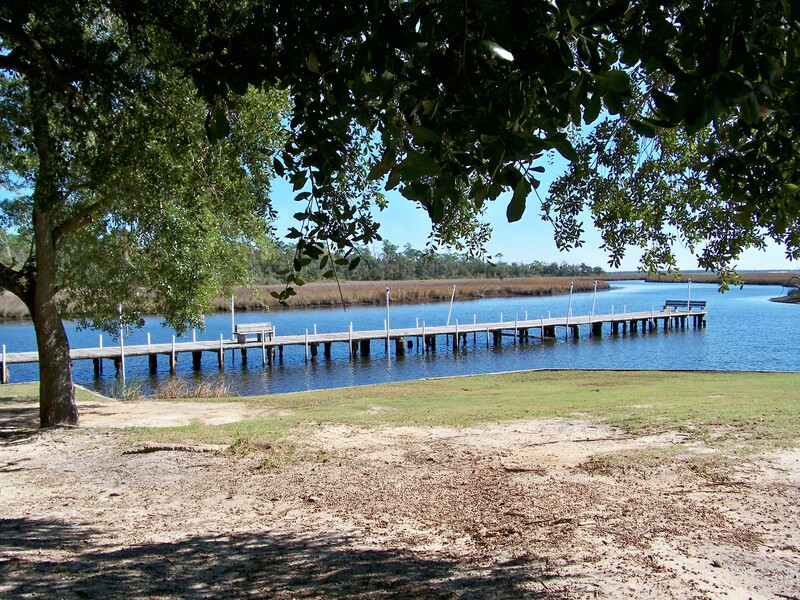 Out of boredom I was browsing the internet and decided to look at real estate in NW Florida. I was really shocked at what I found. Over 2500 listings from one real estate company alone! Yes, there were some beautiful homes and yes, there were some not so beautiful homes. All at prices that suggested these folks were trying to get their money back out of them. They were bought at a time when the housing market was booming and these folks paid some hefty bucks for their homes. With the economy the way it is now, I would be surprised if these folks got half what they are asking. It is definitely a buyers market in this area right now. Another thing I noticed is the number of new apartment complexes going up around here. It seems, to me anyway, that folks are not so keen on being homeowners. Renting provides you a place to live without the expense of upkeep, maintenance, unexpected repairs, etc. Not to mention the cost of homeowners insurance that has skyrocketed here due to hurricanes. Oh, and property taxes…none of those if you rent. And the apartments are bigger now. Most of them even offer 3 bedroom 2 bath apartments that are bigger, square footage wise, than my house. Most have pools that the renter can use without the upkeep and free exercise centers, a clubhouse, laundry facility, internet cafe and internet access in each apartment. So what’s the downside? Maybe the rent that could go up, a lease agreement, noisy neighbors. But you could have all that with a subdivision. Retirement has been on my mind recently as it is fast approaching and I am definitely thinking of moving…maybe to another state, maybe not. But I am considering becoming a renter. We are older and home repairs are not as easy for us as when we were younger. Lawn care takes several days now instead of one. Painting is an ordeal when your old bones creak and groan. So renting may be the way to go for us. Anyway, it will be something to consider. DON’T GO SHOPPING WITH PREDNISONE ON BOARD! So the dermatologist put me on mega doses of Prednisone, a strong steroid with some serious side effects. My first noticeable side effect was an excrutiating headache that even 4 Ibuprophen did not touch. I felt like I had been on a drinking binge and was suffering the consequences….and I DON’T DRINK….liquor, that is. Diet Cokes and tea are my drinks of choice. On my second day of Prednisone, we had to go get groceries. BIG MISTAKE! I was a speed demon throughout the store. And it was Wednesday, the day all the senior citizens do their shopping. Those poor little old folks must have thought I was high on something and I was/am. I was speeding by them like they were standing still and I was only in first gear. I hadn’t reached my full potential yet. I really feel bad about the little old lady I almost knocked head first into her buggy when I backed up. I so need one of those warning beepers to let folks know which way I’m going to move next. I sure hope she heard my apology as I sped down the aisle, but she probably didn’t. My hubby gave up trying to keep up with me. He just parked himself and his buggy and waited patiently as I whirled through the store grabbing things off the shelves and throwing them in his direction. Thank goodness I didn’t hit anyone….at least I don’t think I did. I was moving too fast to notice. I know those folks were glad to see me leave the store. The cashiers would have probably opened a new lane just for me if they had seen me comming. I will be glad when this Prednisone treatment is done. Did I mention the dermatologist wants to do patch testing on my back. Yep, she’s going to inject substances in my back and see which ones cause a reaction. Like I really need something else to make me itch! OMG! What if she puts me on more Prednisone!?! Heaven help the little old folks in the grocery store!